Welcome again, my friends of the past, the present, and of course, the future. I bring you another week’s worth of wackiness and wonder. The celestial charts have not been kind to you. This weeks renderings will bring you thoughts on earlobes, smirking, and the ever popular, General Grievous. Aries… Saturn is in opposition to Ares now and square to it. That’s not a good sign for an Aries. In the future, you will spend many hours and lots of money researching and writing a book called, “How To Leap Like a Lemming”. You will sell many copies of the book, only to lose everything when you are sued by readers who have sustained injuries following your advice. Taurus… Uranus is in semi-diurnal mode now. That’s never good for a Taurus. In the future, you will spend many hours and lots of money researching and writing a book called, “How to Smirk for Fun and Profit”. Many politicians will buy your book. But, you will later be sued by them when they fail to get re-elected. It will be a messy court battle. As a result, you will lose everything. Gemini… Mercury is in di-modal compensation now. That spells trouble for you. In the future, you will spend many hours and lots of money researching and writing a book called, “How to File a Grievance against General Grievous”. Only a few Star Wars fans will buy a copy. It will put an end to your writing career. Cancer… The Moon is in quadra-helix mode now. That foretells problems. In the not too distant future, you will be embarrassed to say the word “morsel” in public. You may just become a loaner. Leo… The Sun is in hyper-extension mode now. That will bring you problems. In the not too distant future, you will be laughed at when you try to sell your Sunday sales papers to a yachtsman. Think about it. You will be ridiculed. Virgo… Mars is square with Virgo and hyper-extended at this time. That’s not good for a Virgo. In the future, you will spend many hours and lots of money researching and writing a book called, “101 Earlobe Exercises”. You will lose all when a group of ENT physicians sue you for fraud. Libra… Venus is in tri-modal descendance now. That’s never good for a Libra. One day, you will become confused. You will not know the difference between a cataract and a Cadillac. You will then drive your Caddy into an Ophthalmologist’s office. You will be sued when several people sustained minor injuries. You will not be happy with the outcome. Scorpio… Jupiter is now misaligned with Mars and Scorpio. That foretells problems for you. In the future you will spend many hours and lots of money researching and writing a book called, “How to Cure Warts by Sleeping With Toads”. You will only sell one copy… to a dermatologist. You will be stuck with the other 1999 copies. Sagittarius… Pluto is in high orbital convergence now and on the cusp of Sagittarius. That’s a bad sign for a Sagittarian. In the future you will spend many hours and lots of money researching and writing a book called, ”How to Polish Shinbones for Fun and Profit.” Only a few orthopedic surgeons, and Dennis Miller will buy a copy. Sorry about that. Capricorn… The Earth is in hyper-dexiconic mode now. That will bring you problems. In the future, you will either flip pancakes or houses. Either way you’ll get burnt. Well at least you will have tried. Aquarius… In the future, you will do magic tricks for geriatric patients. Unfortunately, most of them will fall asleep during your performance. You will walk away depressed. Pisces… In the future, a filling in one of your teeth will suddenly start picking up radio stations day and night. The commercials will drive you crazy. You will seek the aid of a dentist who will advise you to become a disc jockey. Good day, delvers into destiny. This week’s charts have been extra “kooky” in their revelations. They show predictions involving: cargo, elbows, and the ever popular, car polish. Aries… Jupiter is in tri-quadrinal mode at this time. That’s a terrible sign for an Aries. In the future, you will spend much of your time researching and writing a book called, “How To Woo A River Rat”. Weird Al will buy a copy and make a hit song out of it. He will make millions, while you make nothing from it. You will not be happy. Taurus… Mars is in hyper-descending mode now. That’s always bad for a Taurus. In the future, you will spend much of your time researching and writing a book called, “The Philosophy of Feces”. Dennis Miller will be your only customer. Get ready for a long period of depression, and hand washing. Gemini… Mercury is on the cusp of Gemini but in opposition to it. That foretells problems for you. One day in the future, you will petition the government to rename Manatees, Womantees since, after all, they are Sea Cows. Unfortunately you will fail in your attempt. You will not be happy. Well, at least you tried. Cancer… The Moon is bifurcating at this time. That’s never a good sign for a Cancer. In the somewhat distant future, you will spend much of your time researching and writing a book called, “Nullify For Fun and Profit”. Only a few lawyers, and Dennis Miller will buy a copy. You will consider yourself a failure. 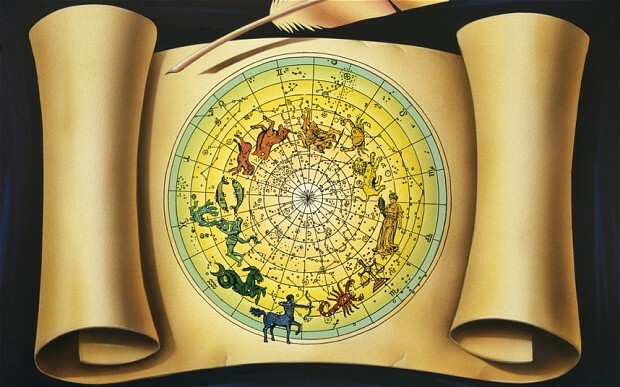 Leo… The Sun is on the cusp of Leo now and in its seventh House. That’s not a good combination for a Leo. Someday, you will meet a mistress in a fortress, but not make much progress in your attempt to egress. Good luck with that. Virgo… Venus is suffering from a gas problem at this time. That’s not a good sign for a Virgo. One day, in the far future, you will try to ship some cargo to Fargo. Unfortunately, due to heavy snow, the cargo won’t go far in Fargo. You will lose many customers because of that. Your business will fail. Happiness will be a thing of the past. Libra… The Earth is in it’s eighth house unwrapping gifts it received for Earth Day. Many of them are duplicates. It’s not happy about that. That’s not good for you. Someday, you will plague all your friends and relatives with the question, “Kenya wear a robe in Nairobi?” They will think you are a fool (or worse). They will shun you. Happiness will be a thing of the past. Scorpio… Mars is on the cusp of Scorpio and in opposition to it. That’s not a good sign for a Scorpio. In the distant future, you will wake up one morning believing stagnation is a country full of male deer. You will try to convince everyone you are correct. It won’t be long before you’re lonely and depressed. Sagittarius… Saturn is rising but it stocks are falling. That foretells problems for you. In the future, you will spend much of your time researching and writing a book called, “How to Make Money in the Elbow Licking Business”. You will only sell a few copies to some eager perverts. You will become a laughing stock. Depression and angst will be your only friends. Capricorn… Mercury is overheating at the moment. That’s never a good sign for Capricorn. One day in the future, you will fly like an eagle… until you crash land like a booby. More then your ego will be injured. We wish you well. Aquarius… Uranus is in hyper-extensive mode now. That will bring you misfortune. In the not too distant future, you will be robbed by a flock of rouge robins. You will escape with minor injuries and a hatred of birds. Pisces… Neptune is in dichotomous mode now. That’s never a good sign for a Pisces. In the distant future, you will convince yourself that you should drink a bottle of car polish after people start telling you that you’re a dull wit. Soon afterword, you will take a trip to the emergency room for a stomach pumping procedure. Ouch! Hi there, all you lovers of fudge… and the future. We hope you survived last week’s list of predictions. If you didn’t, you probably aren’t reading this week’s wackiness anyway. This week’s compilation of cacophony includes: dirty underwear, body hair, and bunions. Aries… Mercury is in its second house trying to fix a plumbing leak. It’s becoming a disaster. That’s not good for you. At some point in the future, you will spend many months and lots of money researching and writing a book called, “Pus Is A Many Splendored Thing”. Dennis Miller will purchase a copy. No one else will take a chance on it. Better luck next time. Taurus… Jupiter is in its fifth house and can’t leave because the garage door is jammed. It’s not happy about that. It foretells problems for you. Not long from now, someone dressed as a Klingon will wrap you in Cling Wrap. It will be very uncomfortable and dangerous. You will survive, but develop a fear of science fiction. Gemini… Uranus is in its ninth house having an alarm system installed. It’s not going well. It keeps randomly going of. That’s bad for you. One day you will have a sleepover with dirty underwear. It won’t be very pleasant. Afterwards, you will develop a fear of salad dressing. That’s weird, but we call them the way we see them. Cancer… The Moon is being charged with lunacy. It isn’t happy about that. That means trouble for you. In the future, you will buy a violin, then marry a physicist in order to study String Theory. Everyone you know will think you are weird and shun you. We wish you well. Leo… The Sun is getting feverish. That’s not good for anyone. Sometime in the distant future, you will have the urge to put mailing addresses on all placemats. People will think you are weird and avoid you. You won’t be happy about that. Virgo… Neptune is its seventh house after a fire which occurred when it left a skillet of grease on a hot stove. That’s a terrible sign for you. In the future, you will become stoned after eating Rolling Stone magazines. You will end up in a hospital having your stomach pumped. Yuck! Libra… Venus is overextended in its credit and is furious about it. That’s not good for you. One day you will feel a need to polish your nails or uncooked snails. Either way, your fingers won’t be happy about it. Let us know how that works out for you. Scorpio… Saturn is undulating at the moment. That spells trouble for you. Sometime, in the distant future, you will spend many months and lots of money researching and writing a book called, “How To Live an Odor Free Life”. Only a few pheromone researchers will buy a copy. Sadness will consume you. Sagittarius… Mars is upset because the Rover ran over its favorite rose bush. That’s not good for you. One day you will take a position as Drill Instructor at a Dental Academy. You will be known for your very strict demeanor and a dirty spit sink. Capricorn… The Earth is in di-emotive mode now. That’s never good for a Capricorn. Sometime in the distant future, you will spend many months and lots of money researching and writing a book called, “Selling Body Hair for Fun and Profit”. Only a few dermatologists and a couple of barbers will buy a copy. You will not be happy about that. Aquarius… Neptune is in its fourth house having the piano tuned. It’s going to cost a lot more than expected. That’s bad for you. In the future, you will spend many months and lots of money researching and writing a book called, “How To Train Your Bunions”. Only a few podiatrists will buy a copy. You will walk away with nothing in your pockets but lint. 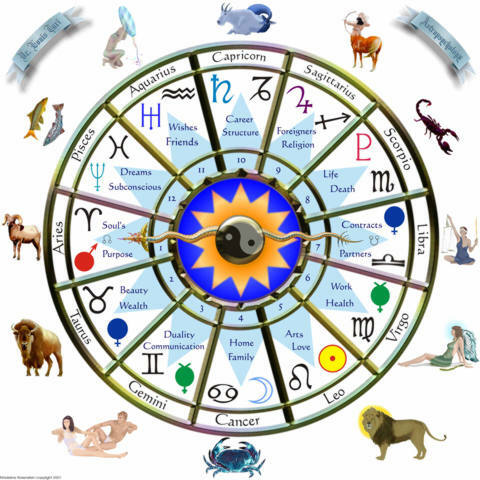 Pisces… Pluto is in its eight house cleaning up after a renter trashed the place. It’s not happy about that. It will mean trouble for you. Sometime in the distant future, you will teach people how to sniffle for fun and profit. It will be a noisy situation. Eventually it will drive you crazy. Good day all you solar scanners. Get ready for another edition of your favorite prognostication publication. The charts are up to their old tricks again. Things look gloomy for most of you, but that’s nothing new. This week’s listing of lunacy includes, moonbeams, tennis, and the ever popular anteater. Aries… Saturn is having another ring job at the moment. It isn’t going well. That portends problems for you. In the future, you will write and produce a play called, “The Follicle Follies”. It will close after a bad case of dandruff develops. Too bad. Taurus… Venus is tri-modal at this time and on the cusp. That spells trouble for you. Someday you will find yourself hyperventilating after you are stung at a spelling bee. We hope you have an Epipen handy. Gemini… The Earth is in dexi-hexiliary mode now. That’s never a good sign for a Gemini. In the far future, you will spend many months and lots of money researching and writing a book called, “How To Play Piano Like A Pickerel”. You’ll never get your hands to play together. Cancer… The Moon is in it’s post di-urinul complex now. That spells trouble for you. In the future, you will develop a bumper sticker which says, “I Break For Acne”. You will be ridiculed and ignored. Depression will be your only friend. Leo… The Sun is in hexigraphical mode now. That’s always a bad sign for a Leo. In the far future, you will spend many months and lots of money researching and writing a book called, “How To Plant A Pickerel”. Only a few fish farmers will buy a copy. You will be sad and lonely. Virgo… Jupiter is descending, but should be rising now. That’s never a good sign for a Virgo. In the far future, you will spend many months and lots of money researching and writing a book called, “How To Ponder Like A Pickerel”. A philosopher and Dennis Miller will be our only customers. You will remain calm and optimistic… until paranoia sets in. Libra… Saturn is in di-perplectic mode now. That’s always bad for a Libra. In the far future, you will spend many months and lots of money researching and writing a book called, “How To Pamper A Pickerel”. Only a few fishermen will buy a copy. Depression will quickly follow. Scorpio… Mercury is in a time warp now and doesn’t like it. That spells trouble for you. One day, you will buy some moonbeams in a jar. Unfortunately, you will lose them all when you leave the jar ajar. So sorry. Sagittarius… Mars is in hyperplectic mode at this time. That isn’t a good sign for you. In the far future, you will be flashed by a Flash Drive while on your computer. Then, your mouse will run off with a rat. You won’t be happy about that. Too bad. Capricorn… Pluto is rising and getting nauseous at this time. That spells trouble for you. Someday, you will try to serve someone in tennis shoes. They will not love it, and it will be your fault. Let us know how that works out. Aquarius… Uranus is in opposition to Aquarius and in a tri-modal loop at this time. That’s not a good configuration for you. Someday, after a bout of listlessness, you will feel much better when you remove the anteater from your underwear. Pisces… Neptune is difurcating and descending at this time. That foretells problems for you. In the far future, you will be under suspicion, or suffer malnutrition. Either way, it won’t be something you’ll enjoy. Angst will be your only friend. Good day, seekers of truth and tomorrow. Once again we offer this week’s selection of future events. The list includes: a wife, a contractor, and, the ever popular chicken. We hope you enjoy, and endure. See you next week with a whole new crop of cacophony. Aries… Saturn is bipolar at the moment. That’s never a good sign, particularly for an Aries. In the future, you will spend many months writing a book called, ”How to Make Anchors Out of Ankles.” You will only sell one copy. A retired seaman will buy it. You will feel as though you wasted your life away. Taurus… Uranus is petulant at the moment. That’s not good for a Taurus. In the future, you will forget the distinction between a summary and a samurai. Your speech will be cut short as a result. Ouch! Gemini… Mercury is on the cusp of Gemini and in retrograde. That’s never a good sign for Gemini. In the distant future, you we’ll be involved with a wife or a knife. In either case, your heart will ache as a result. Cancer… The Moon is both waning and whining now. That’s never a good sign for a cancer. In the distant future, you will be convinced that buying a knapsack will help you sleep better. You will be mistaken… and ridiculed. Some days you will be happy, just being sad. Leo… The Sun is in di-hedral mode now. It’s never a good sign for a Leo. In the future, you will feel terrible and exhausted after you spend many nights on a day bed. Virgo… Jupiter is misaligned with Mars at the moment. That foretells problems for you. In the distant future, you will suddenly realize that you’ve spent many frivolous days and nights wondering why the chicken crossed the road. You will feel embarrassed and ashamed. Libra… Mercury is in its fourth house dealing with a solar rat problem. It’s not going well. That’s not good for you. In the distant future, you will seek the help of a contractor when you realize you have fallen arches. You will not be happy when he nails your feet to the floor. It will hurt a lot. We hope you have good health insurance. You’re going to need it. Scorpio… Neptune is rising at an accelerated rate, but should be falling at this time. That spells trouble for you. In the future, you will undergo hypnosis to try and cure halitosis. It will not work. But, you will have the urge to cluck like a chicken whenever the television is on. Afterwards, you will start an egg business. Sagittarius… The Earth is in opposition to Sagittarius and at an odd angle. That foretells trouble for you. In the far future, you will spend many months and lots of money researching and writing a book called, “How to Make Whiskers Whistle”. Only a few barbers, and Dennis Miller will buy a copy. You will be discouraged. Capricorn… Venus is in tri-modal mode. That’s never good for a Capricorn. Sometime in the future, you will experience turpitude or turpentine. In either case, it will be a harrowing experience. Aquarius… In the far future, you will spend many months and lots of money researching and writing a book called, “Be Alliterate Not Illiterate”. Only a few English teachers will buy you a copy. You will feel as though you wasted your time and effort. Pisces… Neptune is descending into a sea of depression right now. And it will miss the cusp of Pisces. That’s never a good sign for a Pisces. One day in the future, you will lose hair or lose face. Either way it won’t be a pleasant experience. People will shun you. Let us know how that works out.